Do you have a home to sell? Sell to Parrot! We pay cash, we close fast, we buy in any condition and we charge no fees! Get in touch and get paid in as little as 5 days. Call 317-204-2900 now, or fill out the form to the right. Want to learn more? Keep reading for more information about our hassle-free process to sell your home in as little as 5 days! Step one in getting a no obligation cash offer for your house is to fill out the form below with your information. So let’s get the process started! 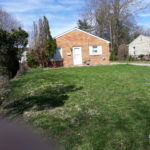 Need to Sell a House in Indianapolis? Get fast cash for your house in Indianapolis with Parrot Property Group. Is your house becoming more of a burden than a home? Do you not have the time, money or energy to pour into the process of selling your house the traditional way? Unable to deal with staging, repairs, showings, inspections and lots of wasted time? Are you getting tired just thinking about it? What if we told you there was a better way to sell your house? We at Parrot understand that in some situations, the difficulties of owning a home can become just too much to handle, and that’s why we’re here to help! We’re not real estate agents or brokers. We are direct cash buyers. That means you can avoid the expenses, hassles and pitfalls of listing and selling your house through an agent by skipping the middleman and selling your house straight to us. You need to sell fast and can’t wait for an agent to list and sell your house on the market. You’ve inherited a house and don’t know what to do with it or can’t pay the mortgage, tax or insurance bills. You need to sell due to retirement, job loss, relocation, divorce, illness, or other life events. You are behind on mortgage payments or facing foreclosure and need to sell as soon as possible to preserve your credit. You are behind on your property taxes and can’t pay. You own rental properties and are fed up with constant repairs or problem tenants. Your house needs repairs or upgrades that you don’t have the time, money or energy to make. You don’t want to pay any fees such as closing costs, agent’s commissions, etc. If you’re facing any of these situations, what you may need is a professional home buyer. Someone you can trust to follow through and get the deal done quickly with no nitpicking and no hassle. How is Parrot different from any other home buyer? When you work with Parrot, you’re working with a local, family-owned, top-rated Indianapolis home buying company. Reliability is our number one priority. Unlike your typical buyer, we do this for a living. That means that we don’t fret over minor issues, and we don’t get “cold feet” or change our minds at the last minute. You can count on us to follow through. We can even put down a $1,000 deposit within 1 day of signing a contract, so you know we are serious about buying your house. And as experienced professionals, having bought and sold over 100+ houses in the Indianapolis area, we know how to make the process as simple and hassle-free as it can be. We are a small, family-owned company. We make our own decisions. We have our own construction team. We do our own inspections and appraisals. And we pay cash, so we don’t have to wait for our bosses, our investors, or our bankers to decide if we can buy your house. We decide… so you don’t have to wait and wonder. For this service, we charge no fees, and on top of that, when you sell us your home, we’ll pay all of your closing costs! So let us take the weight off of your shoulders and replace it with cash in your pocket! What if I need to sell my house fast? Well, you’re in luck, because that’s our specialty! As you may know, listing and selling a house using a real estate agent be a very slow process. According to statistics provided by the Metropolitan Indianapolis Board of Realtors, the average listing in Indianapolis was active on the market for 85 days in 2016. On top of that, not all of those houses actually sold! And the ones that did sell took additional time to close, many ranging from 30 to 60 additional days or more until the sale was actually completed. That is not what to expect from Parrot. When you call us, we will come look at your house quickly, almost always on the same day. And we’ll make you a cash offer in as little as 2 hours, sometimes right on the spot. That’s right! Rather than letting your house linger for weeks or even months on the market while you wait for a buyer, who may or may not be serious about following through and actually buying your house, get in touch with us and get a solid cash offer from a trustworthy local home buyer in as little as 2 hours. And while when selling a home the traditional way it can take weeks or months just to close a transaction in addition to the time spent finding a buyer, once we sign a contract to purchase a home, our sellers typically have their cash in 5-14 days. But my house needs work, has a bad tenant or there’s another problem! Do you think your house is not sellable in its current state? Think again! We buy houses in any condition and any situation. If you’re trying to sell your house to a homeowner for market value, you’ll probably need to clean up, stage the home, and often even make substantial cosmetic updates to appeal to buyers. In addition to that, your buyer or their mortgage company may require that you make specific repairs, some costing thousands of dollars, in order to complete the sale. 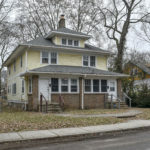 Another issue we see often is that selling a tenant occupied property can be difficult, much more so than a vacant home, especially if the tenant is uncooperative. Most home shoppers don’t want to buy occupied homes, and the presence of tenants makes everything more cumbersome, from showings to inspections to making repairs and updates. But here at Parrot, none of that is a problem. You are facing or in mortgage foreclosure. You have a “hoarder house” that needs some serious cleanup. Your house needs a lot of work. Mold? Stripped wiring/plumbing? Foundation issues? Water or fire damage? We don’t care! Note that we will also buy houses that don’t need work, if that’s the case. You have a non-paying tenant or even squatters in the house. You have unpaid taxes, code violations or other bills or liabilities associated with the property. We don’t mind getting our hands dirty. We’ll take on any of these issues, and many more. When others say no, we say YES. Parrot buys it all! And all that in as little as 5 days from our first phone call to cash in your pocket with no fees to you! Is my house in the right area? Where do you buy? Center Township or “downtown” Indianapolis. Urban neighborhoods like St Clair Place, Fountain Square, Bates Hendricks, 10th & Rural, Broad Ripple, Meridian Kessler, Woodruff Place, Arsenal Heights, Springdale, Brightwood, Riverside, Mapleton Fall Creek, Irvington, Garfield Park, Fall Creek Place, Emerson Heights and more! Any of the outer townships: Franklin, Wayne, Perry, Decatur, Lawrence, Warren, Washington and Pike. The city of Beech Grove. All of the counties bordering Indianapolis: Johnson, Hamilton, Boone, Hancock, Shelby, Hendricks, Morgan and Madison. Surrounding cities like Carmel, Fishers, Greenwood, Noblesville, Franklin, Plainfield, Avon, Brownsburg, Anderson, Muncie, Kokomo, Columbus and more! As a general rule, if you’re within about 50 miles of Indianapolis, we can buy your house! Sounds great! So, how does it work? We’re glad you asked, because that’s the best part of all! Our process is fast, simple and easy! Unlike with the traditional method of listing with an agent, we take the hassle out of the process for you. Worried about cleaning the house up? Staging it? Walking strangers through your house at all hours? Making repairs and other upgrades? Passing an inspection? We don’t need you to do any of that! Step 1: Call and make an appointment. You can call us at 317-204-2900, or you can fill out the form on this web page. We’ll be there fast – in most cases, we can come look at the house the same day you contact us. Step 2: Accept our cash offer. We will make you an offer quickly, and if you agree, we both sign a contract. Sometimes, we can make the offer right on the spot on our first appointment, and we’ll put down a $1,000 deposit that day. Step 3: Close the deal and get paid! Closing is the final step. Documents are signed to transfer the house to us and the money to you. We use a reputable Indianapolis title company to make sure everyone is protected. This usually takes 5-14 days. That’s it! Start to finish in as little as 5 days. Sound too good to be true? Our past clients don’t think so. Get in touch with us and let’s see how we can help you too! Call us now at 317-204-2900 or fill out the form below and let’s get started! Parrot Property Group LLC is a family-owned real estate firm located in Indianapolis, IN. We provide buy and sell real estate and offer property management, leasing, acquisitions consulting and more. We also buy houses directly. Our goal is to provide clean, safe and affordable rental housing to our tenants while serving as a trusted local partner to our investors. We’ll make an offer fast. We close in as little as 5 days. These guys are very efficient and get the job done! I would personally recommend them to anyone when it comes to selling your home. We’ve sold a few investment properties to them and they were fast, honest and gave a reasonable price. I highly recommend working with Parrot Home Buyers if you have a home to sell. They are reliable, move quickly, and do exactly what they say they will do. No nonsense. 5 stars! It is not too often when you come across a company who will actually do what they promise but Parrot Home Buyers have been great to work with and I highly recommend them to anyone looking to sell a house. We have done a lot of deals together. They are fun, fair, and professional. I look forward to doing more business with them in the future. All we need is a quick walk through and we’ll have you an offer either on the spot or in as little as 2 hours. We close as soon as we have confirmed clear title, which usually takes 5-14 days. 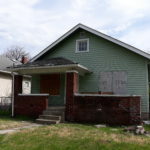 What if my property is in need of major repairs? We buy houses in any condition. We do not mind taking on substantial repairs. What types of houses do you buy? We buy single family homes, duplexes, triplexes, fourplexes, condos, townhomes and apartment buildings. We don’t charge any fees. In fact, we even pay your closing costs. All we need is a quick look at your house. We’ll do a walk through inspection, take some photos and get you a cash offer, usually within hours! We buy single family homes, duplexes, triplexes, fourplexes, condos, townhomes and apartment buildings. We do not buy mobile homes. As long as we can pay a price that will cover the remaining balance on the mortgage, any mortgages/liens/taxes will be paid off at closing. What if my house is in foreclosure? That’s fine! We move quickly and can usually negotiate with the bank as needed to make sure your house does not go to foreclosure auction. Fill out the form below to get an all cash offer for your home. Let’s get started! It doesn’t matter if your home is occupied, in need of major repair, or in foreclosure. Remember, there are no fees and no obligation. The sooner we get started, the sooner we can get you cash for your home. Fill out our contact form or call us at 317-204-2900 to get a cash offer today!